The above picture is from this link that belongs to Urbanrail. 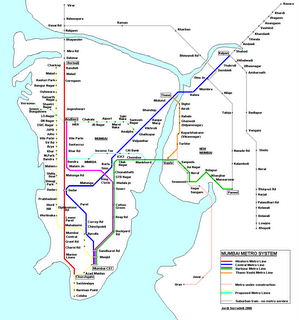 After initially disagreeing with the MMRDA over the issue of viability gap funding of the Versova-Ghatkopar leg (the light green line in the map above) of the Mumbai Metro Rail , the Reliance Energy-Connex-MTR consortium has agreed to a figure of Rs650crore for the VGF amount, in line with MMRDA. What next? REL should get the contract for this phase of the Metro, after which the MMRDA and REL will float a special purpose vehicle, in which REL will hold 74% and MMRDA the balance 24%. Finally, work on the project is expected to commence in October this year. I'm waiting with bated breath. 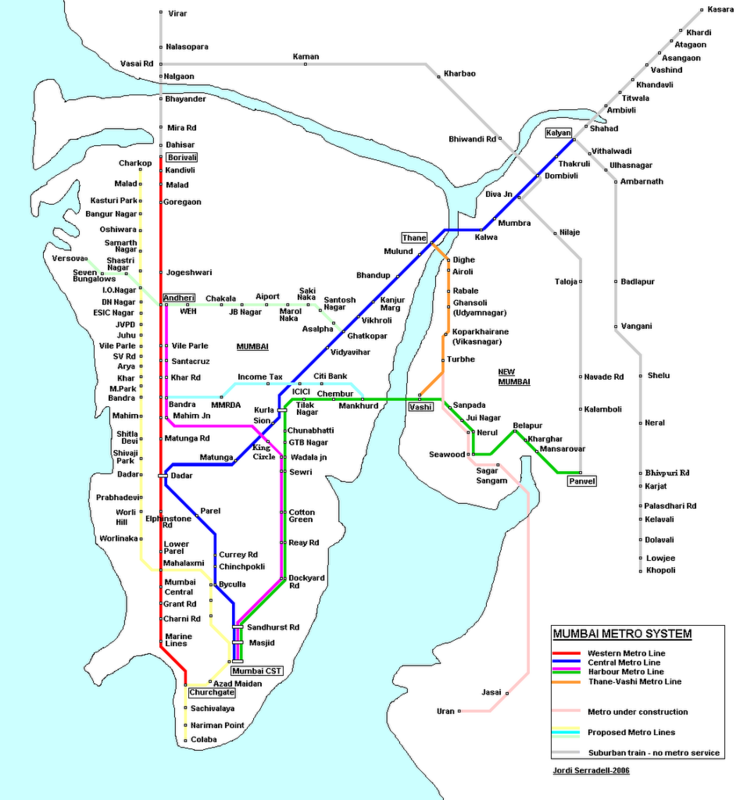 For the MMRDA executive study on the Versova-Ghatkopar Mass Rapid Transport System (note this leg of the Metro will be elevated), click here.